We can supply a wide range of Zinc Diecasting Alloys produced by a first-class manufacturer that is based in UK at competitive prices and terms. The Zinc Alloys conform to EN 1774 1998 and are manufactured from primary or virgin zinc conforming to SHG (Super High Grade) or Zn1 grades with 99.995% purity. ZL5 is generally used for castings produced on a hot chamber pressure die casting machine where a slightly stronger and harder alloy than ZL3 is required and dimensional stability in the as cast condition is not such an important criterion. ZL5 has slightly better castability than ZL3 and therefore tends to be used for small intricate castings or when surface preparation of a ZL3 casting is difficult prior to electroplating. Due to its higher Copper content the alloy is more expensive than ZL3 therefore its application should be restricted to its correct use. ZL5 is easily machined, buffed, polished, lacquered and electroplated for decorative or functional purposes. The composition of ZL5 conforms to the current EN 1774 Standard, which is now common to all EU countries. When designing a stressed component using ZL5 further reference should be made to the alloys properties, at elevated temperatures, after natural or artificial ageing and the alloys creep properties. ZL12 is a 12% Aluminium- Zinc alloy which conforms to EN 1774 1997. It has been developed for use as a general­ purpose foundry alloy. Its unique properties enable it to be cast using any of the conventional gravity casting processes. ZL12 is a strong, sound alloy capable of casting thin sections and intricate details. The economical ZL12 has low initial and conversions costs. It can be cold chamber pressure die cast using a similar process to that used for making Aluminium pressure castings. 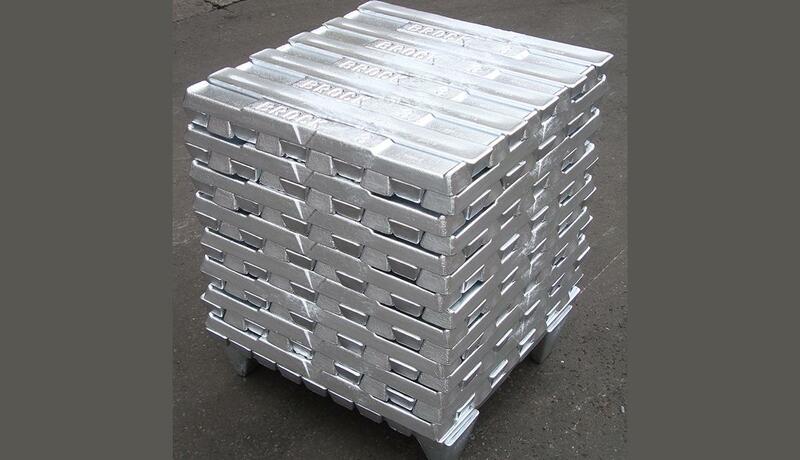 Economical alloy cost with clean low-cost melting & low metal loss. Insensitive to different cooling rates allowing it to be cast by all gravity casting processes. Excellent tensile strength and hardness at ambient temperatures. Non-sparking alloy suitable for hazardous environments. Good bearing and wear properties for lightly loaded applications.